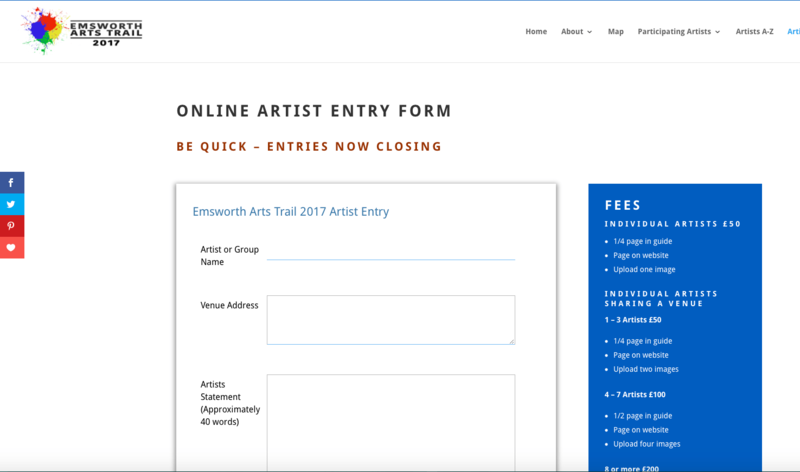 This website was created to promote the Emsworth Arts Trail and provide a listing of all artists participating. The listings were arrange in categories and an interactive map created to help visitors find artists and others close by. The site was featured an online entry form to simplify the procedure of entry and sharing information across printed and virtual platforms.